The last of the north-central Vietnamese coastal provinces, Thanh Hoa sits before the provincial break-up dissolves into a patchwork quilt of thumb-sized mini-provinces scattered around Hanoi. 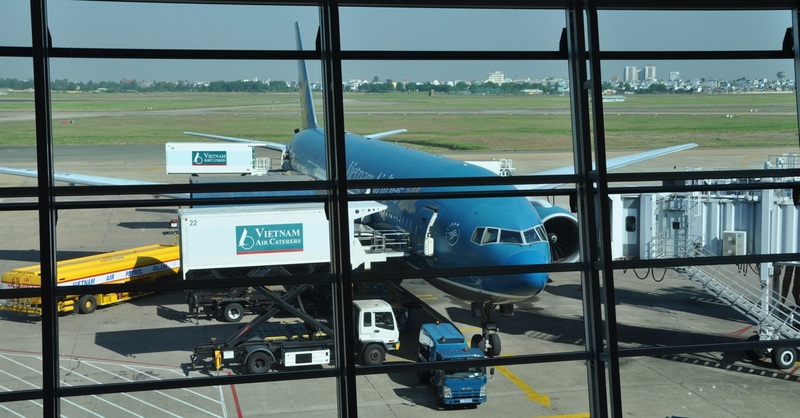 The province and it’s same named capital are, like the provinces directly to the south, ideal for travellers who want to get off the beaten track and see Vietnam at its most local. That’s to say, nobody much stops here because there’s little to see or do in the traditional sightseeing sense. We don’t imagine a lot of travellers will choose to show up in Thanh Hoa unless they are determined to use the hard-scrabble border crossing at Na Maew / Nam Xoi, 175 km to the north-east. But we were surprised on our visit to find a very pleasant town, with some good places to eat and drink and a charming market street along Ben Ngu Road in the north-eastern part of the city. You won’t fail to notice Mat San Mountain, a looming limestone massif just to the west of town. If nothing else, it’s the kind of town we can heartily recommend if you’re desperate to get off the tourist trail and actually visit Vietnam. A day or so here would be a great way to ’detox’ after a visit to Ninh Binh before heading south. The town can be used as a jumping off point for visiting about a dozen attractions in the interior and along the coast -- Sam Son Beach, 16 km to the south-east, the Ca Than Spring in Cam Luong District, 85 km to the north-west, and the ’National Gardens’ at Ben En, 46 km to the south-west, just to name a few. We didn’t make it to any of these places on our brief scout of the capital city, and if you choose to seek them out, you have more time on your hands and more determination to explore the hidden corners of Vietnam than any professional travel writer we know. In other words, if you do visit some of these places, for Pete’s sake write us and tell us all about it. While we were in town, we came across the Ben Ngu market street -- a bit unique in our experience because the majority of vendors seem to roam up and down the street on bikes or with their wares in yokes rather than settling in one place. It’s a good spot to take pictures, and you can get a whole roasted chicken or duck here for 70- to 100,000 VND. Just to the west of the market street, there’s a picturesque French-style cathedral built in 1932. If you wander down to the Cathedral, you’ll also get a look at Ho Nha Tho -- a dried up man-made lake that’s been turned into a herb farm with a boat sitting in a puddle in the centre emblazoned with ’Welcome to Thanh Hoa’, in English. Perhaps the lake fills up and the boat floats around a bit after a heavy rain. That pretty much exhausts our walking tour of Thanh Hoa for now, but we’re looking forward to seeing more of it on our next visit. Thanh Hoa is 58 km south of Ninh Binh, 138 km north of Vinh and 153 km south of Hanoi along Highway 1A. Thanh Hoa is bordered to the east by the Ma River, which widens into a marshy delta before spilling out into the Gulf of Tonkin (Vinh Bac Bo). Several man-made canals and natural rivers all-but surround the centre of town. As elsewhere, Highway 1 takes on three new names as it passes through town -- Quang Trng, Tran Phu, and Ba Trieu, all in the space of less than 4 km. There are a number of hotels and guesthouses along this stretch, but noise and traffic make them rather unpleasant places to stay -- fortunately, Thanh Hoa offers a number of good options off the main road. A good map of Thanh Hoa is available at the Viet Ly Book Store on the ground floor of the Hapromart--15,000 VND. Unlike in years past, you’ll find no shortage of ATMs in downtown Thanh Hoa—we’ve been told around the Le Loi/AH1 intersection is a particularly good area to try. The post office is on Tran Phu at the intersection with Le Loi—low-cost internet and long distance phone service is available. If you’re interested in an organised tour of the province, we doubt you’ll find an English-speaking guide, but you might try the Thanh Hoa Tourist Service on Le Loi. Post Office: 33 Tran Phu, Thanh Hoa. T: (037) 955 134, F: (037) 757 485. Hours: 06:30 to 21:30. Viet Ly Book Store: 25 Le Loi, Thanh Hoa. T: (037) 857 099, F: (037) 857 099. Hours: 08:00 to 22:00. Last updated on 12th February, 2017. 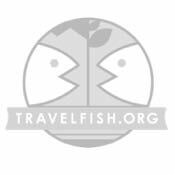 Use the above map to find specific destinations in and around Thanh Hoa which are listed on Travelfish. Bed icons indicate a guesthouse, hostel or hotel, the knife and fork is an eatery or bar and the four-way circular thingy marks sights, attractions and other points of interest. Click on any icon for a short pop-up and a direct link to the page for that spot. If you are in the area, use the teardrop icon near the top left to show your position on the map (you'll need to allow position sharing for this last feature to work).